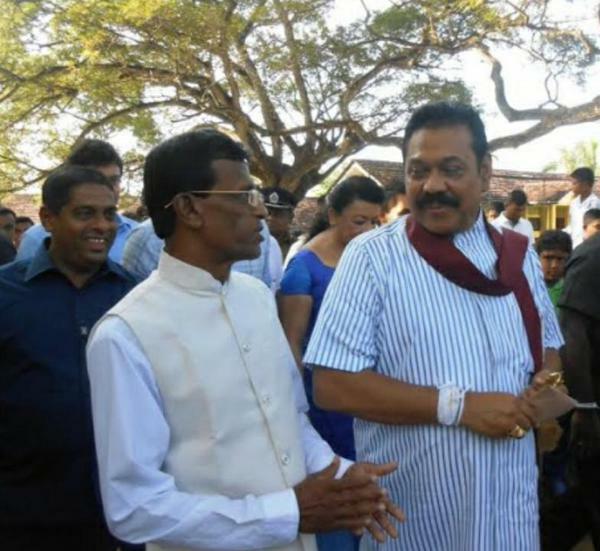 President Mahinda Rajapaksa and Presidential Candidate R.A Sirisena at the Hambantota polling booth this morning. R.A Sirisena even mimicking the dress of Maithripala Sirisena. Picture exposes the powers behind the fake Sirisena?